ShareNote is the leading web application for managing behavior healthcare, and now ShareNote Mobile becomes the perfect companion. Your clients, documentation, calendar, and messaging are all available to you wherever you are. 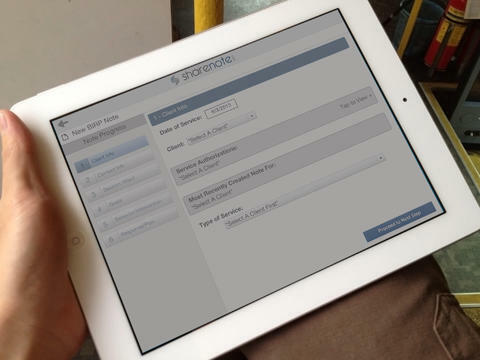 Within moments of downloading the app, you are ready to get right to work using the intuitive interface optimized for iPad. - Easy to use; just launch the app, enter your credentials, and you are ready to go! Behavior healthcare providers now have a mobile solution for managing clients and thus increasing efficiency, saving time and decreasing costs.